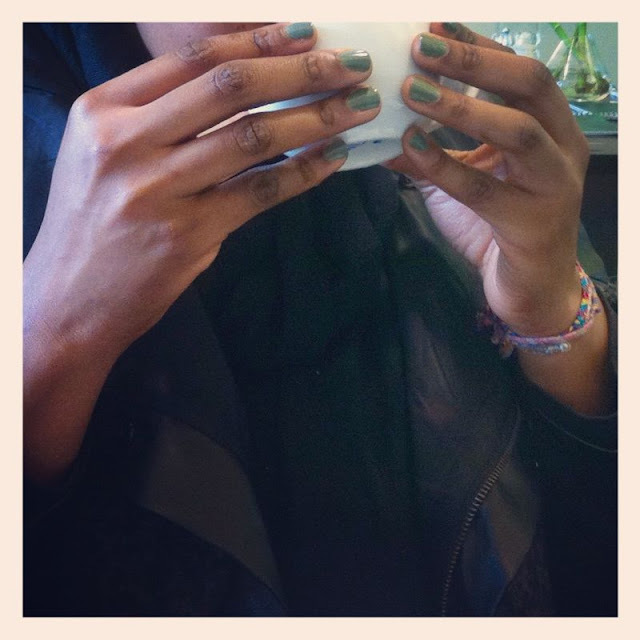 Frenesie Fashionesque: Mani Monday - "HUNT ME DOWN"
As a self proclaimed nail polish addict, and collector I thought it'd be fun to posts small articles about my manicures, the nail polishes I love and why I love them. I tend to switch colors every 2 to 3 days or so but I want you guys to keep up and post pics of my manis every monday. Not to brag or anything (but then again WHO brags about nail polish??? ), but to share my love with you and maybe instill a passion and make some of my most conservative readers try new colors and give ideas. It's a light army green that matches most of my outfits (and yours too I'm pretty sure...). 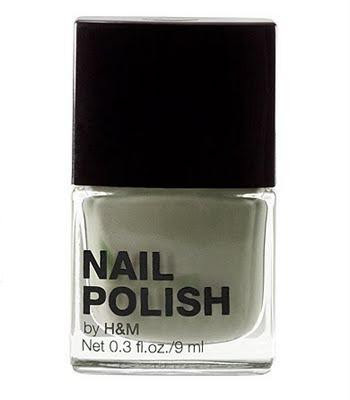 I like it because while it definitely is an edgier color than the regular more 'traditional' manicure colors, it is kinda classy and and believe it or not discreet. As the French would say: "L'essayer c'est l'adopter".